The Best of Teacher Entrepreneurs III: FREEBIE for a limited time! 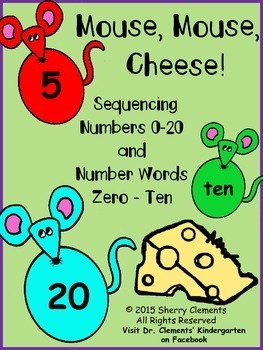 Number Sequencing - Mouse Mouse Cheese! FREEBIE for a limited time! Number Sequencing - Mouse Mouse Cheese! This product is FREE for a limited time (March 18-23)! Please leave me some FEEDBACK so that I can provide more freebies to you. After downloading, simply click the back arrow on your browser and it will return to the feedback page. Thank you in advance for your feedback! ENJOY! You can grab this cute resource HERE! This 4 page pack was created with differentiation for students in mind. Students can sequence numbers 0-10, 11-20, or 0-20 depending on the level of each student. Students who already know these numbers can work on sequencing number words zero-ten. You will need to provide students with a piece of paper or sentence strip to glue the numbers/words to after they put them in order. I always like to use a sentence strip or cut long construction paper in half and tape the pieces together to have one long strip so that students practice gluing them in order from left to right without having to sweep back to the left to glue some. This activity is also great for math centers. Each sheet can be copied on colored tagboard, laminated, cut apart and put in a Ziploc bag for a math center to be used over and over throughout the year. Another idea for this resource is to run two copies of the pages on tagboard, laminate, and create a number concentration game. It also makes great work for students when you have a substitute since the entire activity takes a while with coloring the pieces, cutting them out, and gluing the pieces in order. Students love adding their own color to decorate their number strip. I hope your students enjoy this fun activity.